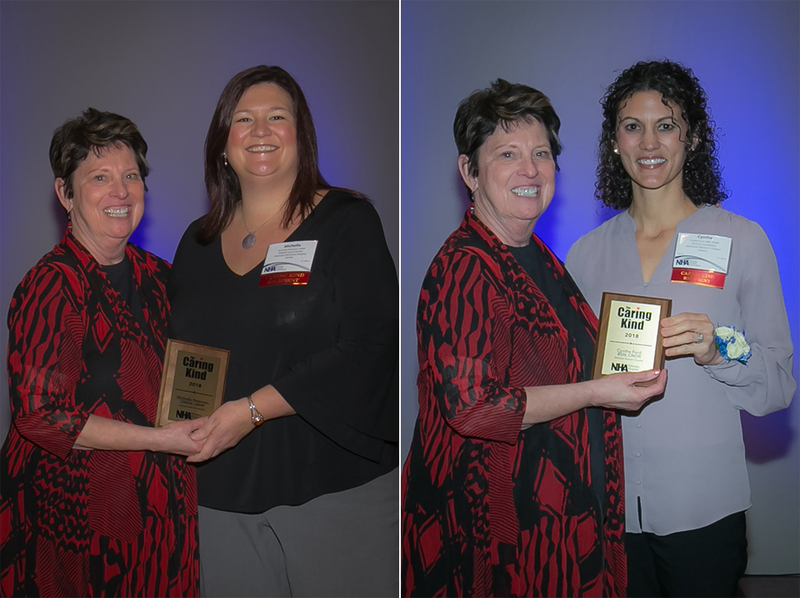 Michelle Peterson, a medical social worker in the Care Management department, and Cynthe Ford, a nurse coordinator in Methodist Women's Hospital Surgery, were recognized recently at the National Hospital Association (NHA) Annual Convention awards banquet. They were honored for being selected as the Methodist Hospital and Methodist Women's Hospital Caring Kind Employees for 2018. Congratulations go to these employees who truly embody The Meaning of Care! Hospitals across the state select a Caring Kind Award winner from within their respective institutions to be honored at the Nebraska Hospital Association's annual conference. The 2018 Caring Kind luncheon honors those award winners as Nebraska hospitals' most caring individuals. Methodist Hospital's Caring Kind Employee of the Year is chosen by the committee members who select Methodist Hospital's Employees of the Month. The Caring Kind employee is selected from a pool of the past year's Employee of the Month winners. Methodist Women's Hospital's Caring Kind Employee of the Year is chosen by the committee members who select Methodist Women's Hospital's Employees of the Quarter. The Caring Kind employee is selected from a pool of the past year's Employee of the Quarter winners.